Anyone who has suffered a financial loss in recent years needs to know that an annuity can be an important part of a solid estate plan. That is because annuities protect a portion of your savings from market loss - making sure that some of your income lasts as long as you do. Annuities are the only vehicles around where you cannot outlive your money. JMS Estate Planning understands that financial needs vary greatly over the course of a lifetime and that most retirees should be focused on protection of their funds over and above growth. 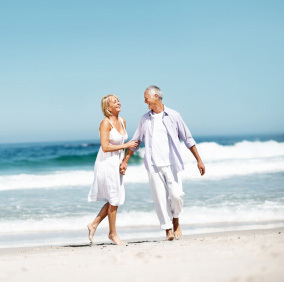 Ability to support a steady, predictable standard of living in your retirement years. An annuity is an agreement between you and an insurance company in which you give the company money and in return they offer you a guarantee that will provide you with a lifetime income. It can offer tax deferred growth and some annuities can protect you from stock market risk. Annuities are long term contracts designed for retirement therefore there may be surrender charges or other penalties for early withdrawal, depending on the type of annuity. However, many annuities allow up to 10% free withdrawal annually. JMS Estate Planning Services offers a wide range of annuities from which to choose, once it has been determined that an annuity would complement your total retirement plan and asset allocation. Please contact a Palm Coast estate planning facilitator today by calling (386)-446-0317 or by using our web contact form.